Wide variety of applications including UPS, aerospace, research, and military weapons development. 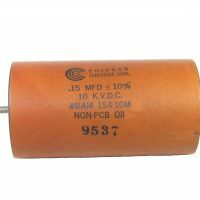 TYPE CP53, CP54, and CP55 capacitors are manufactured to meet or exceed the requirements of MIL-C-25/4D. Type BAM High Voltage Capacitors are designed for filter, bypass, and coupling applications in the low audio frequency range as well as many general DC applications. 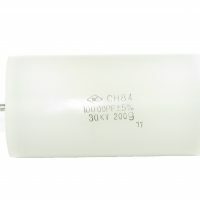 The CH84 High Voltage Capacitor is wound with a compound film dielectric between sheets of aluminum foil, impregnated; epoxy filled, and sealed in a tough plastic case. 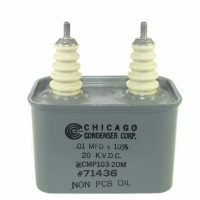 CMP High Voltage Capacitors offer superior electrical characteristics coupled with small size and are designed to meet or exceed the requirements of MIL-C-19978/3F. 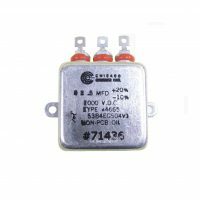 Commutation and Snubber high voltage capacitors are designed to be used in high powered Thyristor circuits. 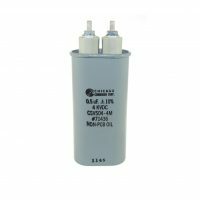 HR-series capacitors feature a wide range of operating temperature from -25 to +100 °C. 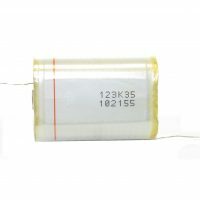 TMV Metal Case capacitors are manufactured in accordance to MIL-PRF-39022 standards. 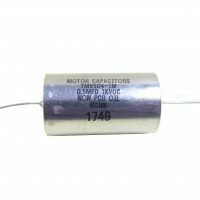 TMV capacitors can be used in either DC or AC operation.